Still using the older BeerSmith 2? Where is my BeerSmith 3 Activation Key? If you ordered via paypal there is no activation key. BeerSmith 3 uses an electronic license tied to your cloud account which you can see here. 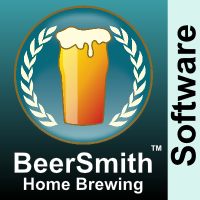 To use BeerSmith 3, just download it from the main download page, install it and activate it – which will ask you to sign into your cloud account. If you ordered from a third party or via FastSpring you will get a gift code which you can redeem here for an electronic license. Once you have your license in your account, you follow the same steps above to download, install and activate your program. Can I use BeerSmith on More than One Computer? Yes, the Basic and Gold licenses let you activate up to two desktop or laptop devices (PC or Mac) with a single license. Platinum and Professional licenses give you 3 and 5 activations respectively. You can manage, renew, add licenses or deactivate devices from your cloud account here. I have BeerSmith 2 – Is BeerSmith 3 a Separate Purchase? If you have a Gold, Platinum or Professional membership, your BeerSmith 2 license will be added automatically to your cloud account up until your expiration date. If you recently purchased BeerSmith 2 (after 15 October 2017) there is an upgrade checker you can use here to get a subscription. If you purchased earlier than that, then you will need to purchase a new BeerSmith 3 license, as only minor updates were included in the base level BeerSmith 2 license. However, you can download and run the BeerSmith 3 trial side by side with your BeerSmith 2 install to decide if it is right for you. Can I run the BeerSmith 3 Trial if I already have BeerSmith 2? Yes, BeerSmith 3 stores its data in a separate ‘Documents/BeerSmith3’ directory, so you can run the trial of BeerSmith 3 without disturbing your BeerSmith 2 data. Download your free BeerSmith 3 trial today here. I don’t see a profile for my Equipment listed – how can I find one? If you are using a vendor provided set of brewing equipment, you can check the equipment add-ons by going to Profiles->Equipment and clicking on the add-on button there. Many profiles are available for download right into BeerSmith. You can also modify one of the pre-loaded profiles in the equipment view to match your own setup. If that fails, here is a step-by-step description of how you can create your own equipment profile, as well as videos on doing the same. How do I Import my BeerSmith 2 Data into BeerSmith 3? The first time you run BeerSmith 3, it will scan your computer for BeerSmith 2 data, and ask you if you want to merge that data. Merging the BeerSmith2 and BeerSmith 3 data can take a few minutes. It will also import your most critical options like your unit settings and add-ons. What’s the fastest way to get started with BeerSmith? Can I share data between devices or between my desktop and mobile device? You can share recipes via the BeerSmith cloud. If you are using BeerSmith 3, then your cloud login is the same account you used to register and activate your license when you ordered, and you can access it using the cloud folder in either BeerSmith mobile or desktop. You can also access your recipes from the web by logging in at BeerSmithRecipes.com. By default all recipes you put in your cloud folder are private to your account, but you can also share them to make them public or use the new unlisted option to have a recipe link you can share with your recipe, but not include the recipe in public searches. Yes, because licensing and distribution for mobile devices is controlled by the respective stores (iTunes, Google Play, Amazon) I am not able to bundle the mobile apps with a desktop license at this time. I can only set one price for all users. Purchase “BeerSmith Mobile” from iTunes, Google Play or on the Amazon app store. When are the Mobile and Linux versions of BeerSmith 3 coming? A version 3 baseline update to BeerSmith mobile is planned for late July for the full app. It will be a free update for existing “BeerSmith mobile” users. I am not planning an update to BeerSmith lite. The Ubuntu 18.04 Linux version of BeerSmith 3 is also planned for release in late July. Where is my data stored? How do I back it up? BeerSmith 3 stores all of your data under the Documents/BeerSmith3 directory for your main user account for easy backup. Include this directory in your list of files to be backed up periodically on your computer. Macintosh: An intel based processor Mac is required. A wide screen (1200 pixels) is recommended, as is a 64 bit Mac operating system – 10.8 or higher. I forgot my BeerSmith cloud password or login – how can I recover it? Go to the BeerSmithRecipes.com login page and click on the Lost password link and enter your email address or login name. 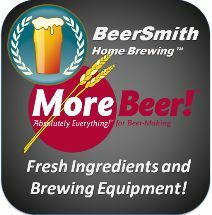 I want to move my BeerSmith Mobile license from Android to iPhone (or iPhone to Android)? Unfortunately the mobile licensing is controlled by Google and Apple, and they do not share license data or offer any mechanism to transfer a license between mobile devices. You will need to purchase a new license if switching device types. I bought a new mobile device – how do I move my mobile app to the new phone? First, copy your local recipes to your cloud folder on the mobile app. This is the best way to be sure that you don’t lose them when you move to the new phone. On the new phone, log in to the app store using the same iTunes or Google Play account you used to originally purchase your app. Then download the app – you should not have to pay again if you use the same account. Finally copy your recipes from cloud to local storage on your new device. Can I use BeerSmith 3 for Commercial brewing? Yes, hundreds of craft breweries use BeerSmith for their recipes. There is an article on how to set up equipment and use BeerSmith to scale up to commercial size batches. There is also a professional brewing discussion board on the BeerSmith forum. A professional license is recommended if you are using BeerSmith 3 for commercial use. I want to recover a recipe that I accidentally changed or deleted? Go to Recipes->Recipe Archive and search for the name of the recipe. It should have a log of all major edits listed by date and time and you can open any of them by double clicking on them and recover from there. Are Foreign Language Editions of BeerSmith available? A number of volunteer teams have started translating BeerSmith 3 to several languages including French, Spanish and Portugese. Many of these include a ‘Lang.xml’ file which translates the base program. Some of these are available from the main download page. Additional efforts to translate BeerSmith data and programs to other languages can be tracked on the forum here. Can I run BeerSmith 3 from a shared/networked drive? We do not recommend running BeerSmith from a shared drive. There is no explicit database that would prevent two copies of BeerSmith from overwriting each other so running on a network drive could easily result in major data loss. How can I reinstall my copy of BeerSmith 3 on a new computer? Next download, install and BeerSmith 3 on your new computer. Run it once and then shut it down. Finally make sure BeerSmith 3 is shut down, and then copy the entire BeerSmith3 directory from the old computer (via thumb drive or removable drive) to the Documents/BeerSmith3 directory on the new computer. Overwrite any data there. Activate the new copy of BeerSmith on your new computer. You may need to go to your manage licenses page to deactivate your old computer before you can activate the new one. BeerSmith 3 tells me there is an update available but it can’t download/install the update? The simple workaround is to go to the main BeerSmith download page and get the latest version from there and install it. I don’t understand the versioning/session system and I don’t want to many copies of my recipes to record each session? to my brew log. Next time I brew I will bump the version number and brew date to match the new date and record again, then copy to brew log. This way my brew log folder contains a list of all recipes “as brewed” and has dates and version numbers.